Alex Wallace, senior VP of NBC News, announced today that John Reiss has officially received the title of executive producer of "Meet the Press"
Reiss’s accession to “acting executive producer” of the Sunday show back in September, replacing Rob Yarin, coincided with the departure of David Gregory and the arrival of Chuck Todd as moderator of MTP. 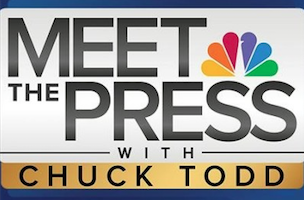 I’m pleased to announce that after nearly five months on the job, John Reiss will officially become Executive Producer of Meet the Press with Chuck Todd. John has been integral to the new Meet the Press from day one. He immediately stepped in and lent his political acumen and television savvy to lay the foundation for Meet’s new era — from renovating the studio to defining the brand’s long-term editorial vision. At the same time, he has proven to be a trusted partner to Chuck and the executive team, an experienced leader for the MTP staff, and a valued adviser to the whole news division. As many of you know, John came to Meet the Press from a long tenure with Hardball, where he was deeply entrenched in politics as Chris Matthews‘ executive producer for over seven years. During that time he was also the EP of MSNBC’s political programming, producing the network’s Election Night coverage and its coverage of the Democratic and Republican National Conventions. Prior to that, he served as Brian Williams‘ EP at NBC Nightly News for two years. Meet the Press has, without a doubt, hit its stride. Since Chuck’s debut in September, the show has quickly established itself as an influential destination for the most compelling interviews and smartest political debate. Chuck and John have landed big exclusives, introduced new segments, invigorated the panel discussions, and created a forum for lively conversations that consistently drive the news cycle. And the audience has responded — week after week, Meet has shown steady and impressive growth in every metric. Just last week, the show drew its best ratings across the board since March. The broadcast is solidly #1 in Washington and regularly tops the competition combined in the demo. And Meet continues to expand beyond Sunday mornings into a 24/7 brand across all digital platforms. We are immensely proud of what they have accomplished in a short time and look forward to an exciting future. Please join me in not only congratulating John on his new role, but also praising the entire Meet the Press team for an incredibly successful start.